We are anxiously looking forward to next week’s GIE+Expo,,along with Landscapes 2015 along with tthe Wealth Building Summit. all in Louisville, Kentucky. We are co-sponsoring a very special event, the Wealth Building Summit on October 21 in Louisville (during the week of GIE+Expo). For more information about the Wealth Building Summit, see the article below or visit wealthbuildingsummit.info. This is a very active year in lawn and landscape mergers & acquisitions and we expect that trend to continue. Many transactions have been completed and more are on the horizon. New players are entering the market.  As always, if you have an interest in selling or buying a lawn or landscape business, are ready to begin the exit planning process or wwould like to explore the potential impact of consolidation on your local market, we would welcome the opportunity to talk with you. We’d also be happy to meet if you are planning to attend the GIE+Expo/Landscapes 2015 or one of the other events we are attending. Give us a call at 901-351-1510 or email [email protected]. A newly formed company, Five Seasons Property Management has acquired Reliable Property Services of Minnesota and T.R. Gear Landscaping of Ohio. The combined companies have about $45 million in revenues. Senske Services has acquired Headman Lawncare of Splash Fork, Utah. Triangle Capital has made a $10.3 million mezzanine investment in Rotolo Consultants of Slidell, Louisiana. John Deere Landscapes has acquired Tieco, Inc., with six branches in Alabama and Florida. John Deere Landscapes has acquired Green Resource with five locations in the Carolinas. TruGreen Lawncare has Acquired Noon Turfcare of Massachusetts. Rentokil Initial PLC has acquired The Steritech Group making Rentokil the number three pest control company in the United States. The Wealth Building Summit is a unique, one-day event focused on how to create and accumulate wealth as a landscape business owner. Featured speakers will include Mike Bogan, former Brickman executive and now CEO of LandCare (formerly TruGreen LandCare), Jeffrey Scott of Jeffrey Scott Consulting and the Leader’s Edge and Ron Edmonds of The Principium Group. There will also be a panel discussion with business owners who have actual experience with buying and selling businesses, along with case studies and networking opportunities. The panel members include Brian Lemmerman of Somerset Landscape, Debby Cole of Greater Texas Landscapes and The Groundskeeper and Christopher Noon of SmartLawn (formerly of Noon Turfcare). Don’t miss this top-notch event!